Ecoelectric is an established and proven provider of commercial solar systems from ground mounted three phase to large scale rooftop with export limiting and supply authority limitations. We can take your billing data and recommend a complete energy efficiency solution above and beyond a standard commercial solar power offering. There are many types of business which may be able to benefit from a commercial solar system with plenty of case studies showing that many already are. Depending on the size of your bill we can provide either a straight forward installation proposal or carry your project through detailed logging and assessment procedures designed to give peace of mind to everyone right up to board level. Solar PV is an excellent investment for day time usage with high returns and low payback periods. This makes it suitable for both owner occupied and leased premises. The key reason for installing commercial solar onto a business is to offset daytime power usage and therefore reduce power bills. This approach is often combined with items such as LED lighting, load shifting and power factor correction all of which Ecoelectric can advise and arrange on your behalf. 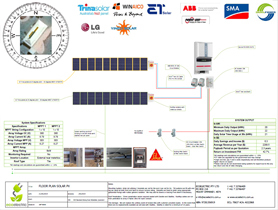 We have proven experience dealing with some of the more difficult issues encountered during a commercial solar installation such as supply authority limitations including export limiting, the cost-benefit analysis including NVP, whole of life service agreements and alarm based monitoring and logging systems. We have established relationships with RPEQ solar engineers to ensure that your system passes through the Energex hurdles first time round. 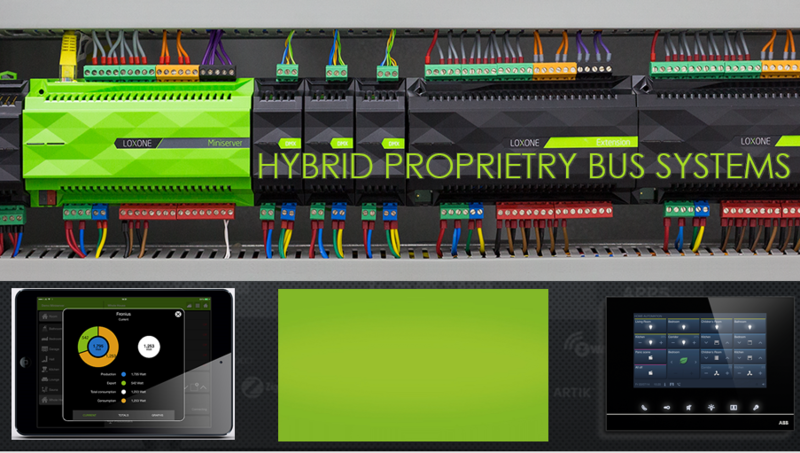 Our designs come complete with secondary anti-islanding relays which ensure fail-safe protection for items such as ROCOF (Rate of Change of Frequency), over and under voltage protection and vector shifting. Ecoelectric understand that commercial solar power is a business decision aimed at reducing operating costs whilst delivering a set return accompanied by a level of risk. We can explain the very minimal and easy to manage risks which can occur when delivering a high return commercial solar power system and ensure that your investment will deliver. Did you know that commercial solar power can deliver returns as high as 40% with payback periods of less than 3 years? Are you aware that a solar power system can be depreciated as an asset or used to demonstrate corporate responsibility guidelines? Through our finance partners, we can even provide a detailed no deposit lending or leasing solution which ensures you are paying off the system for less than the cost of your current electricity costs (in most cases). Ecoelectric works with established supply partners and has excellent relationships with some of the biggest names in the business. Our core solutions partner is/are ABB the Swiss-German electro-technology behemoth. ABB have roughly 125 years of proven experience in all sectors of the electrical industry and can provide products with a proven service history. We combine this with solar panels by Trina; Australia’s most popular solar panel and China’s largest solar panel manufacturer. Trina is a Fortune 500 company and were established in 1997. 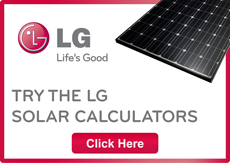 Ecoelectric also offers LG solar panels for those who want a premium or ultra high-efficiency offering. LG solar panels have some of the highest efficiency scores on record, and also maintain one of the lowest degradation rates. LG has long experience in the solar industry and have proven their service record with near-negligible warranty issues. This is outstanding for a manufacturer of this size and demonstrates LG’s commitment to quality in every aspect of the process. LG Energy has recently underlined their manufacturing confidence by extending their product warranty to a massive 25 years covering both parts and labour. 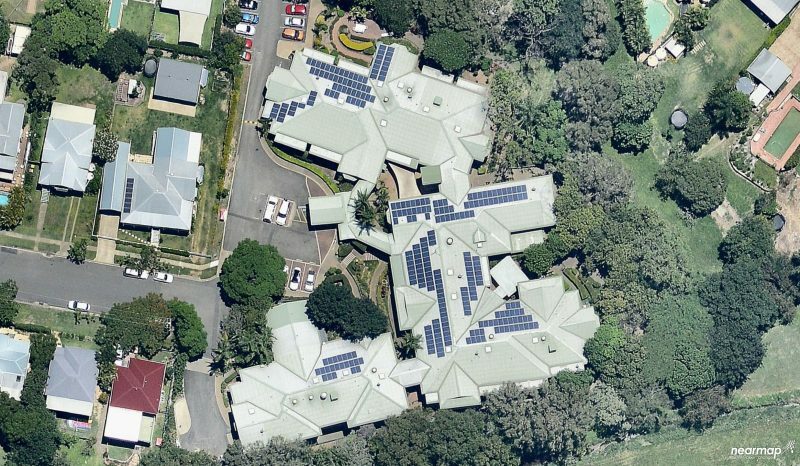 Why not contact us for a free design and consultation for commercial solar in Brisbane, Ipswich or the Gold Coast – we don’t specialise in the hard sell – our expertise is in offering tailor-made solutions for your energy usage. We will look at your specific loading requirements and may even suggest other areas of energy efficiency. 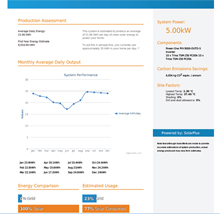 You will be provided with both electrical and financial considerations via detailed reports. If solar PV won’t work for your business – we will let you know! Follow Admin's board Commercial Solar on Pinterest. Great service...only a day from contacting them to getting a firm quote and a few days more to get electrician on site. Other sparkies took days to answer or never did. Electrician Matt was very pleasant and knowledgeable. Diagnosed and fixed shoddy isolater installed by previous contractor within the hour. Recommend this company highly. From the moment I contacted Ecoelectric I knew I was in capable hands. Jeff knows what he's talking about and explains why he uses the panels he does etc., etc.. The two guys who installed the system were 100% professional and also took time to explain what they were doing and why. They've helped us through all the paperwork, liaising with Energex, you name it...all taken care of.I can not recommend the guys at Ecoelectric highly enough. We wanted to go along the solar route because my husband's a geologist and sees what damage fossil fuels do...not only the mining, drilling, distribution etc., etc., but the political games that oil-rich nations play. Plus, why wouldn't you invest in solar when the sun shines all the time?